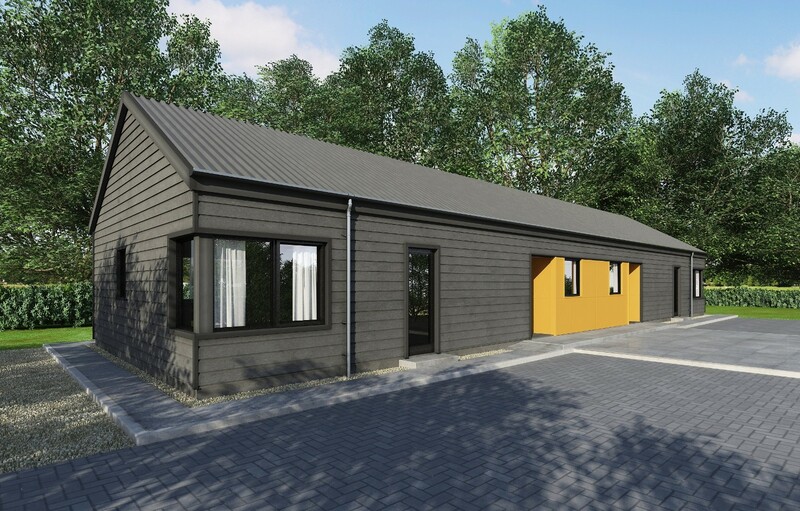 McTaggart Construction has commenced delivery of a modern travellers site in Girvan, encompassing seven chalet-style bungalows. Budgeted at £1.54m the project is being funded by South Ayrshire Council and the Scottish government and will replace properties lost to storm damage three-years ago. Flood damage destroyed a prior traveler site in 2015, forcing occupants into temporary accommodation elsewhere on Troweir Road. The new site is expected to complete by September. Same site ie infrastructure already in and 5 smallish houses for a staggering £1.54million ie over £300,000 per unit. Quite astonishing price. I want to know the price per metre2. This is a ludicrous cost for a timber and wrinkly tin roof building. Who designed and QSd this? You could buy 5x 4 bedroomed Stewart Milne houses in Barassie for that price. More SAC buffoonery. No commerciality whatsoever.Well done Cllr Saxton. #1 I'd imagine a fair chunk of the £1.54m is being spent on roads and sewers and you would imaging flood mitigation, however, I totally agree that if the intention was to provide 5 houses, there are a myriad of more cost effective ways to provide them. The provision or non-provision of accommodation for the travelling community is of relevance across all of Scotland, so this South Ayrshire traveller project is of national interest. Transparency is important. All the costs should be published and fully explained. Should this development be emulated elsewhere? Did travellers participate in the design process? Hey Comment Number 1. You might need you're eyes checked. It's 7 chalet style bungalows, not 5. You might also want to consider, that based on the image, it could be feasible that each bungalow contains 2 houses. So that makes 14 houses awhich is roughly £110K/house inc landscaping, and maybe even flood prevention measures. Something to consider before getting bent out of shape eh? Why would “travellers” want permanent homes? Is being a “traveller” not a life choice? Or is The Man trying to snuff out this way of life? On costs for 'temporary' accommodation for alternative lifestyles. 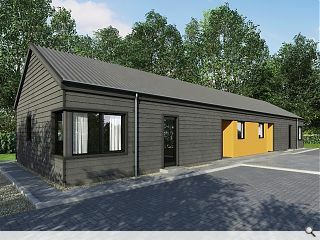 Leaving aside 'micro-living'-type structures, i recently completed (with warrant) a timber and straw insulated storey and a half 35m2 ground floor (kitchen /living /bathroom/bedroom) with 27m2 habitable first floor for c. £50-55,000 for a woodland 'temporary' dwelling (work-related). Alternative living should mean alternative costs in my book, otherwise what would be the point?